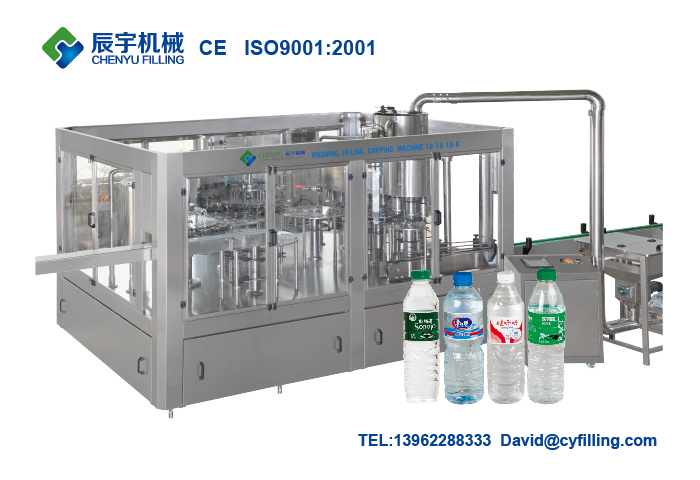 ﻿ Water Filling Machine | water filling machine|water bottling machine|bottle filling machine|Suzhou CHENYU Packing Machinery Co., Ltd.
Automatic 3 in 1 pure water filling machine adopts bottle neck holding transmission technology to realize fully automatic,rinsing,filling and capping.Most elements of the electrical system employ foreign advanced products.Each water filling machine element that contacts with the liquid is made of high quality stainless steel.They obtain the advantages of good abrasive resistance,high stability ,low failure rate,etc.The quality of the equipment reaches the international advanced level. 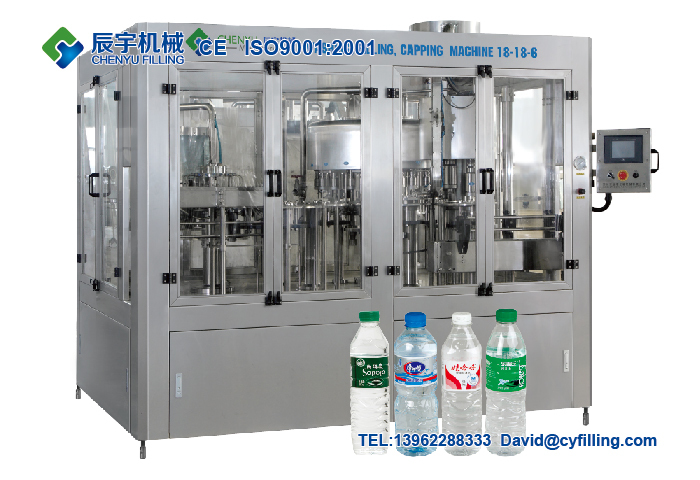 Automatic 3 in 1 drinking water filling machine adopts bottle neck holding transmission technology to realize fully automatic,rinsing,filling and capping.Most elements of the electrical system employ foreign advanced products.Each machine element that contacts with the liquid is made of high quality stainless steel.They obtain the advantages of good abrasive resistance,high stability ,low failure rate,etc.The quality of the equipment reaches the international advanced level. 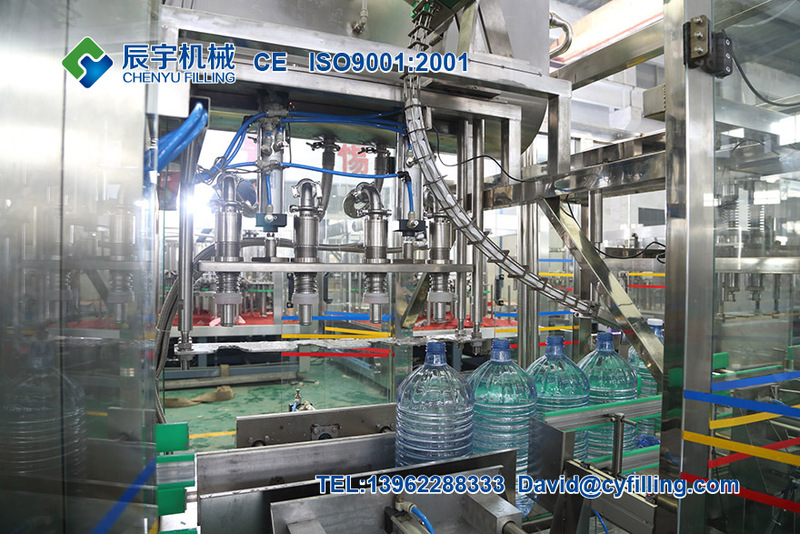 This pure water production line is the equipment specially used in the washing,filling and capping of 5liter-10liter big bottle pure water and mineral water.The production line has introduced European advanced mature technology and has the advantages of high automation,well adaptability,convenient operation,fine safety performance etc. The advanced level takes the leading position in this field domestically. 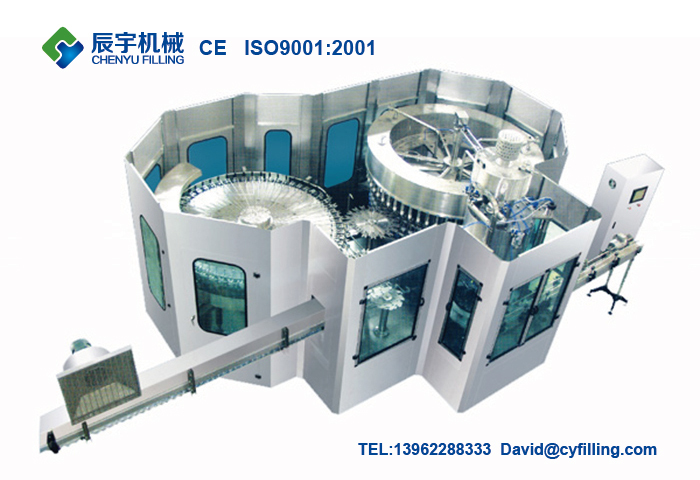 This production line is composed of linear continuous type washing machine,full automatic linear filling machine and linear type automatic capping machine. 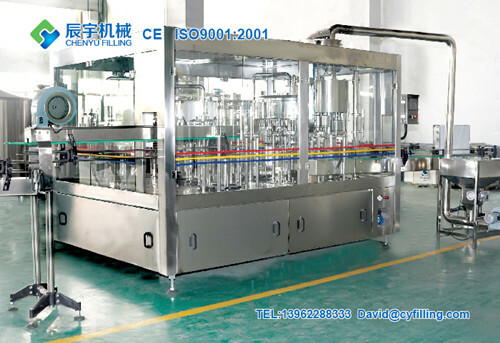 The drinking water filling machine adopts bottle neck holding transmission technology to realize fully automatic sterilizing,rinsing,filling and capping.Most elements of the electrical system employ foreign advanced products.Each machine element that contacts with the liquid is made of high quality stainless steel.They obtain the advantages of good abrasive resistance,high stability ,low failure rate,etc.The quality of the equipment reaches the international advanced level. 20 Liter barreled water filling machine integrates bottle washer, filler and sealer into one unit. In order to achieve the purpose of washing and sterilizing, bottle washer adopts multiple liquid injections washing and disinfectant spray, and washing solution can be used circularly. 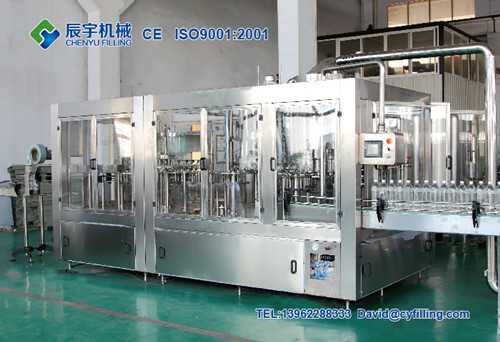 The sealer can seal bottle caps automatically.This filling line equips with water spraying device to sterilize caps of bottles in order to ensure those caps are aseptic and healthy.This line also can automatically carry out bottle washing, sterilizing, filling, capping, counting and products discharging.It has features of complete functional, novel design, and high degree of automation. It is a new kind of barreled water auto-producing line, which integrates mechanism, electricity and pneumatics technologies together. This pure water production line is the equipment specially used in the washing,filling and capping of 5liter-10liter big bottle pure water and mineral water.The production line has introduced European advanced mature technology and has the advantages of high automation,well adaptability,convenient operation,fine safety performance etc.The advanced level takes the leading position in this field domestically.This production line is composed of linear continuous type washing machine,full automatic linear filling machine and linear type automatic capping machine. 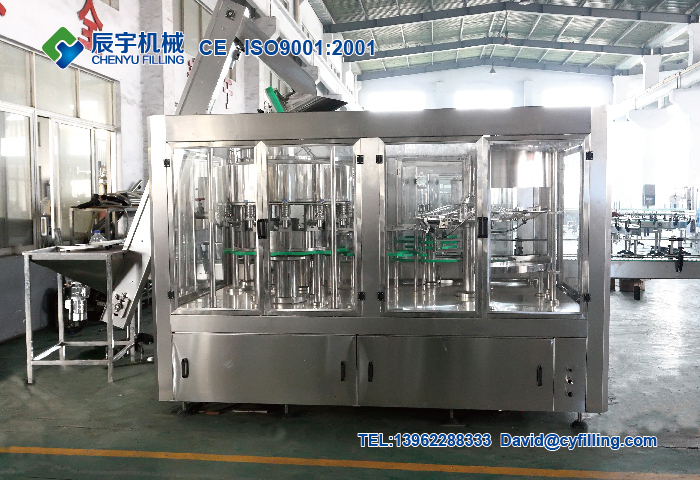 This pure water production line is suitable for all kinds of special-shaped bottle, Filling volume continuously adjustable, each filling valve can be adjusted, its technology level leading in the domestic industry with similar filling machinery. 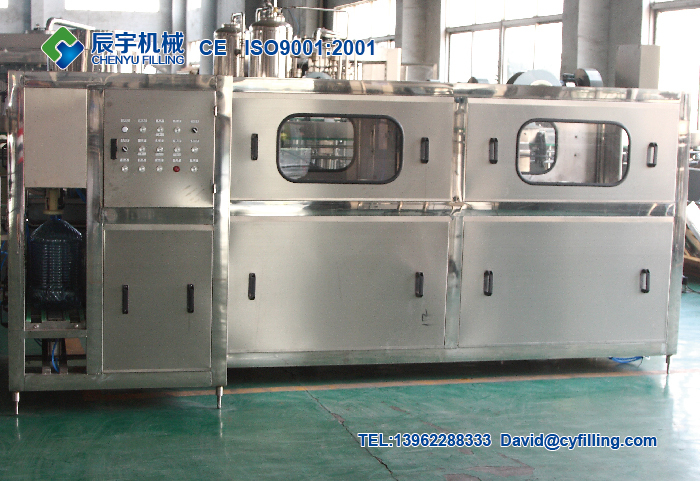 The drinking water filling equipment adopts bottle neck holding transmission technology to realize fully automatic,rinsing,filling and capping.Most elements of the electrical system employ foreign advanced products.Each machine element that contacts with the liquid is made of high quality stainless steel.They obtain the advantages of good abrasive resistance,high stability ,low failure rate,etc.The quality of the equipment reaches the international advanced level.